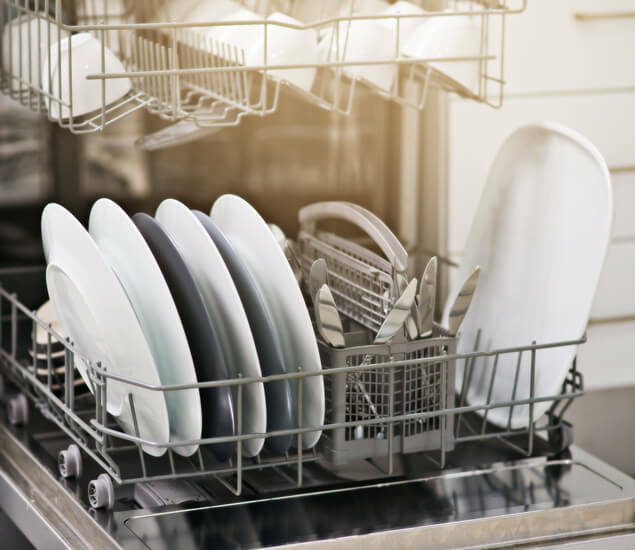 Faulty dishwashers can be a major inconvenience when dirty dishes start piling up or the damage to the appliance begins to affect the rest of your home or business. Sunshine Plumbing and Gas provides prompt, reliable plumbing services, including dishwasher inspections, maintenance, and repairs to homes and businesses in Gainesville and Ocala, FL. Our Ocala plumbers is trained with the latest information and techniques for servicing dishwashers of all size and type. We will inspect the system, diagnose the root of the problem, and perform all of the adjustments necessary to get your dishwasher running smoothly as soon as possible. If your dishwasher develops an issue or fails to function, contact us today. What Are The Most Common Dishwasher Issues? If you notice any of the following symptoms of a faulty dishwasher, call our plumbing repair company right away. We will promptly attend to the issue to prevent any further damage to your system. Prompt repairs can also help prevent damage to other areas of the property. This is one of the most dreaded dishwasher problems. If you find water leaking onto the floor, check the door seals, drainage hose and gaskets for cracks or other damage. A defective pump or pump seal may also be the cause of leaks and need to be replaced. When the dishwasher sounds like it successfully turned on but no (or not enough) water is flowing into it, test the water inlet valve, door switch, and float switch. The latter is the part that tells the dishwasher when it has the adequate amount of water. It may be blocked by debris that keeps it from working properly. Moreover, you could check your hot water supply stop valve under the sink to make sure water is fully turned on. A dishwasher that does not stop filling may have a faulty float switch, a timer stuck on the “fill” setting or a water inlet valve that is stuck open. If the dishwasher is filling up as usual but not adequately draining the water out, there may be a problem with the valve in the drain sump, drain pump or drain flapper. If the dishwasher won’t start when you turn it on, check key components such as door latch switches, timers, and electronic controls. Make sure that fuses have not been blown and that the power outlet is not malfunctioning. Try unplugging the dishwasher and plugging it back in. Inspect for wiring damage and a pump motor that isn’t starting up. If dishes are coming out of the dishwasher with bits of food still on them, make sure the dishwasher is not dirty in the first place. Sometimes food particles, grease, and other debris accumulate inside dishwasher components and clog them. Check the strain screen, sprayer arms and door gasket for leftovers. Run a cycle with dishwasher cleaner or citric acid and without dishes to remove buildup. Another reason for dishes not properly cleaned may be low pressure from the spray arms. Inspect these components to see whether they can move freely without obstruction and whether they look worn out. If dishes are still wet at the end of the cycle, check the dishwasher’s heating element and thermostat with a multimeter. What Types Of Dishwashers Do You Service? Dishwashers can have different features, issues, and needs depending on their model and the type of use they are given. Our plumbers can inspect and perform repairs on the two main categories of dishwashers and plumber: dishwashers for residential and commercial plumbing. Most dishwashers for residential plumbing are designed to take care of any family-sized load and accommodate to most wares on the market. They are generally easier to install than their commercial counterparts, and they usually don’t require special breakers or wiring. Residential washers are designed to not give off enough steam to damage surrounding floors or cabinets. Commercial dishwashers typically require high electrical power, which may require the installation of additional wiring and breakers. They may also need stronger drain pumps and pipes. Any shelving and flooring surrounding them should be made of metal or stone to minimize corrosion from steam. 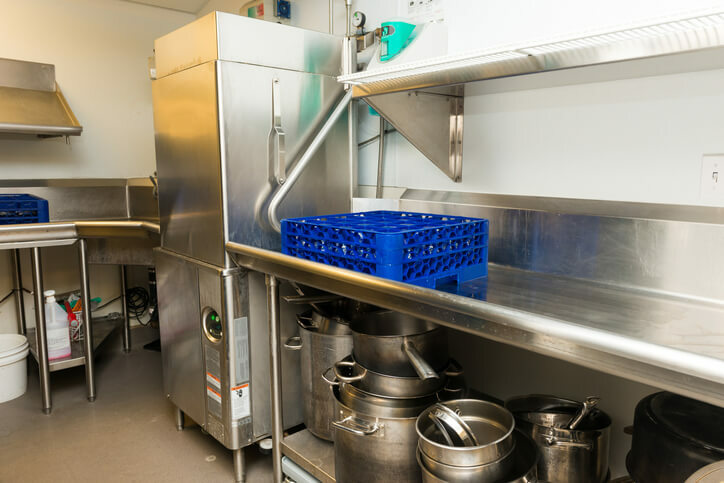 With restaurant plumbing, the dishwasher is generally used to clean glass plates and cups as well as metal silverware and cookware — plastic and rubber ware usually cannot be washed in these high-temperature machines. What Are The Dangers Of Faulty Dishwashers? Most dishwasher issues are fixable. But if these problems go unnoticed or ignored, they can escalate over time to a disaster situation that affects other components of the plumbing system and property. For instance, water leaking out of the washer and flooding the kitchen can damage floors and cabinets and increase the risk of mold appearing. In addition, many dishwashers are connected to the kitchen sink and garbage disposal, so clogs that are not removed in a timely manner can begin to obstruct surrounding pipes and create odors in the kitchen. As soon as you notice an issue or defective component with your dishwasher, call Sunshine Plumbing and Gas. We will fix the issue right away and check every component to ensure your dishwasher functions as it should.